What is Miss Monogram doing today? Well I was supposed to be beaching it with my mom and auntie but the weather has driven us to other activities that will probably include lunching in WP and shopping park ave. or heading to mall. 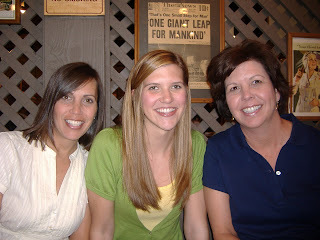 Here we all are circa 2007....maybe today I'll get a more updated photo. shopping is always the best alternative when the weather isn't cooperating! have fun! Ooh I love Park Ave shopping! Have lots of fun.